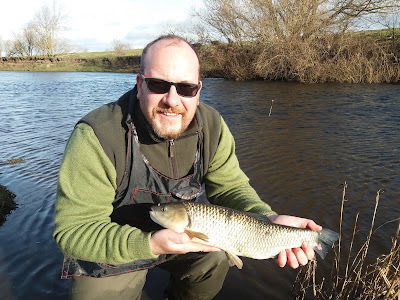 My blog about all my fishing thrills and spills. Forget Tiger roll doing back to back Grand National's I have just completed back to back personal bests!! 1. Three of my Pb's have come from the same venue. 2. My Pb's are actually pretty low!! These two points aside, I am happy and it's been a great day. I will tell you all about it now. After last week's success, I was heading back to Lonsdale Park in Cumbria to target the Roach and maybe have a sneaky rod out for the carp. 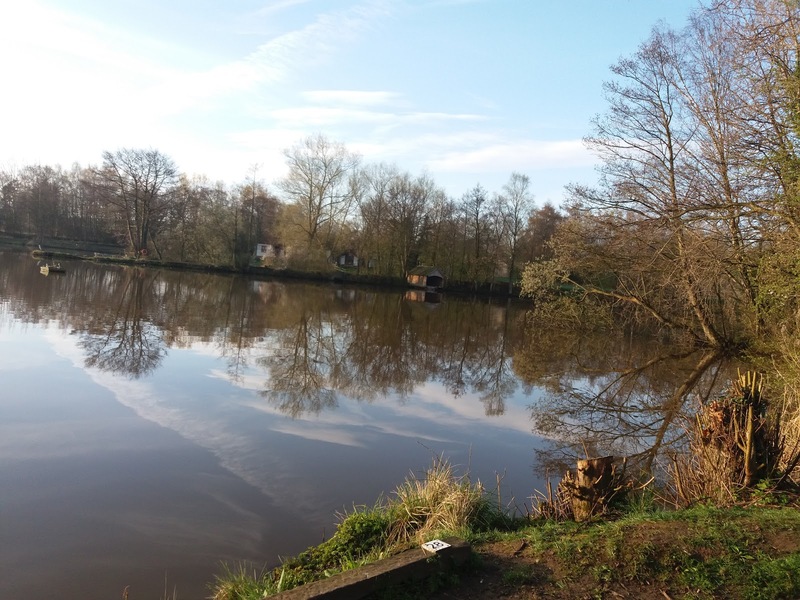 Setting off earlyish, I drove the shortish drive to the lakeish venue - one defo does not make sense there! 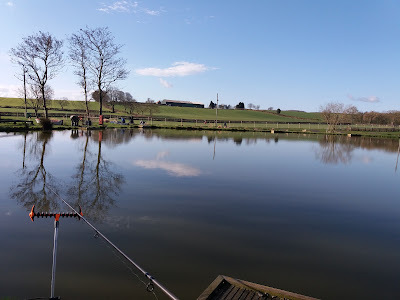 Setting up in the same swim as last week that I caught the big roach, my plan was to fish in the same place but hopefully by feeding it all day, I could elaborate on last week's efforts. It started well, bites came almost straight away. But this was going to be the longish game. I was not able to hit every bite, but it was fun to be active. 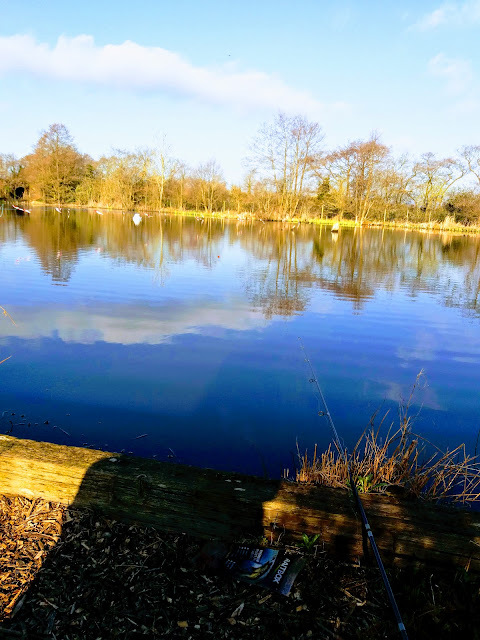 I had the lake to myself, wait no, I saw another angler arrive. He had a bigger nose than me, naked legs, his camo was grey and when I went over to see how he was doing, he rudely flew away! Soon I caught my first Roach, the plan was coming together. 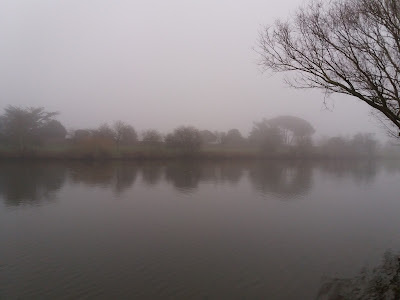 Some human anglers joined me and in a while we had a few areas of the lake covered. They were all carp fishing, sat motionless behind rods, did they not know the Roach were ready to play?! The baillif came round for a chat. 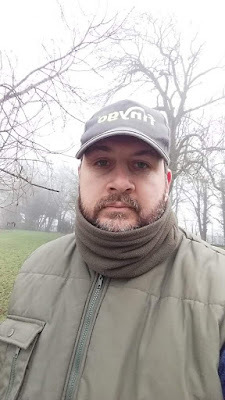 I asked about Tench, he assured me they were mainly caught on a different lake, and not yet. A few more warm days would get them going. I would be back for these one day soonish. I caught a few more roach as others sat motionless. I missed a few too, well lots. 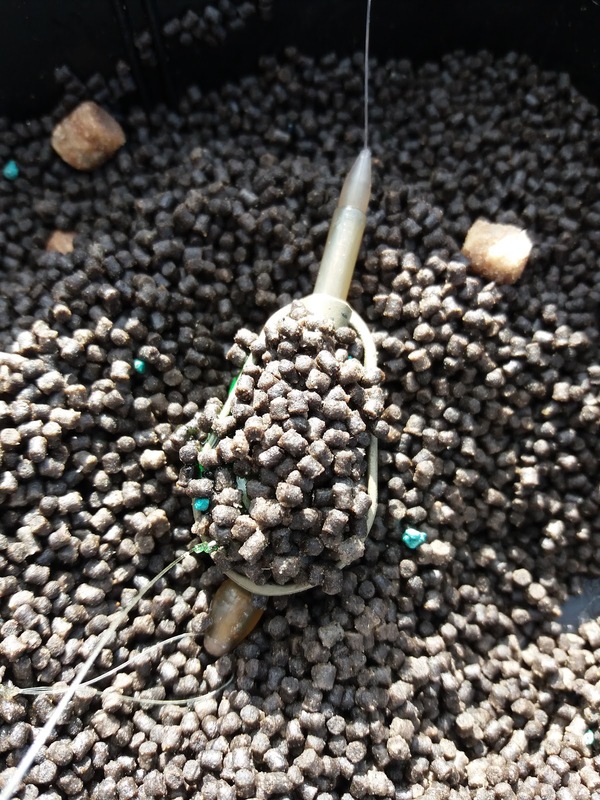 The tip was rarely still but I put that to small Roach attacking the sweetcorn or the pellets in the hybrid feeder. There was no mistaking this bite though, the rod whipped round and I struck. Straight away the fish was away, around my other line. This must be a carp I thought. I was able to play it in front and then I saw the big green flank. Slipping into the net, I had my Tench. It was a battle scarred warrior, but I was so happy to have caught it. I weighed it at just about 3lb. A pb. 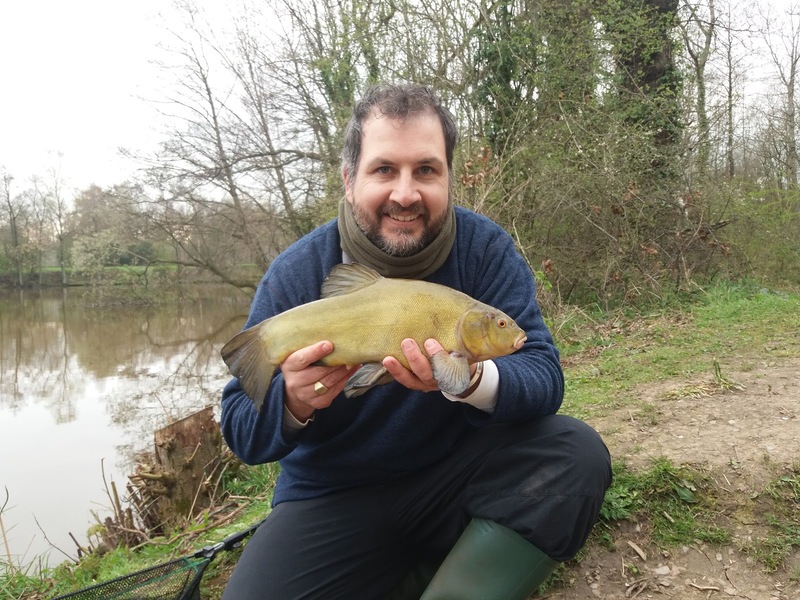 I had never caught a Tench worth weighing before, and I was buzzing! As the sun got stronger, there was plenty of carp cruising about, some only a few feet from me under the rod tip. A few more Roach followed, and I sat and watched 8 lovely koi carp in the lake behind me swim about, but these are uncatchable(ish)!! Soon, everyone else packed away, and I was left on my own again. It was a quietish day interrupted by a Pb Tench. 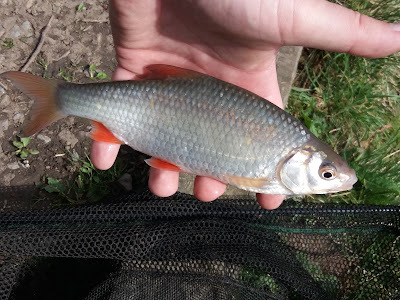 I ended on 6 Roach and the Tench, what more could I ask for? 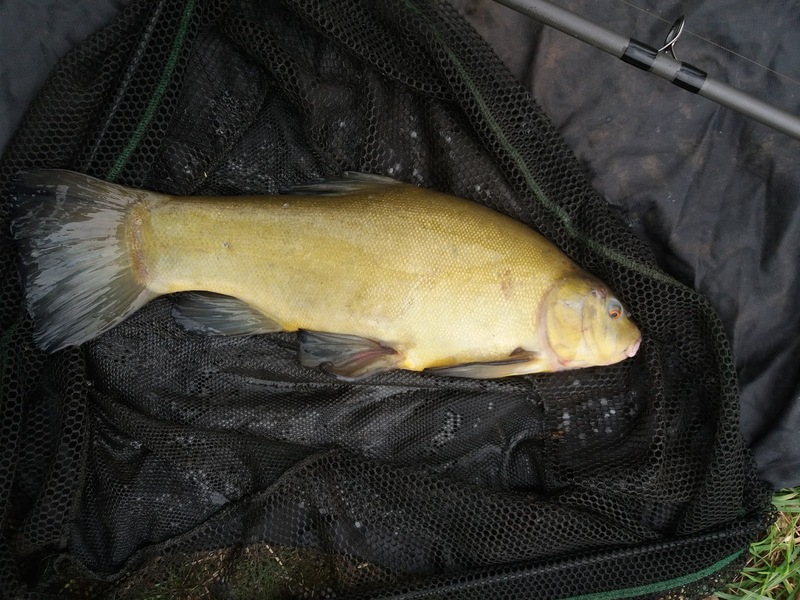 N.b Lonsdale has given me a pb Carp 13lb 12oz, Roach 10oz and now Tench 3lb. As for No. 2, well I am happyish to catch anything, regardless of the size! All week I was planning a trip to a pond in North Yorkshire. Tackle was ready, I just needed to buy some maggots on Thursday after work. Cue Aidan messaging me Thursday early afternoon saying he was up for going to Lonsdale Park. I had fished it before and it's a tough but rewarding water. 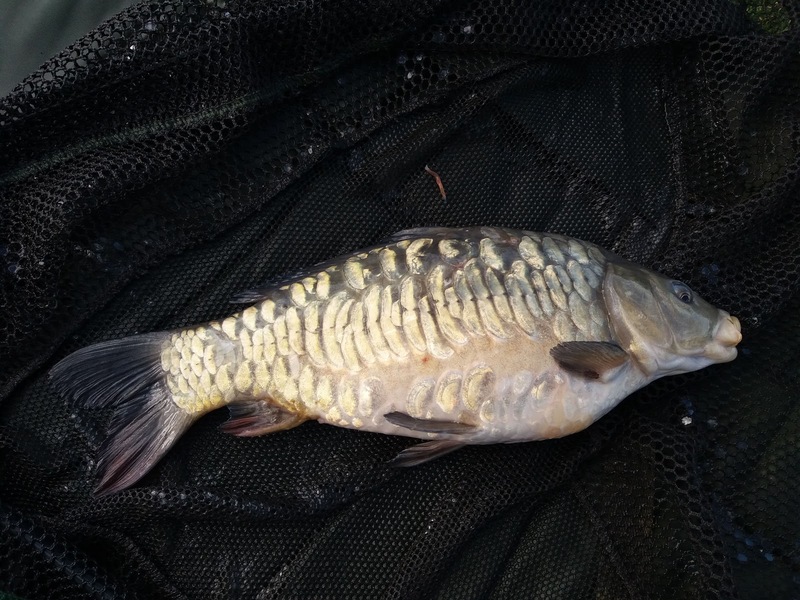 There is many species to go for including Pike and Carp, so I was more than happy to switch and head there. 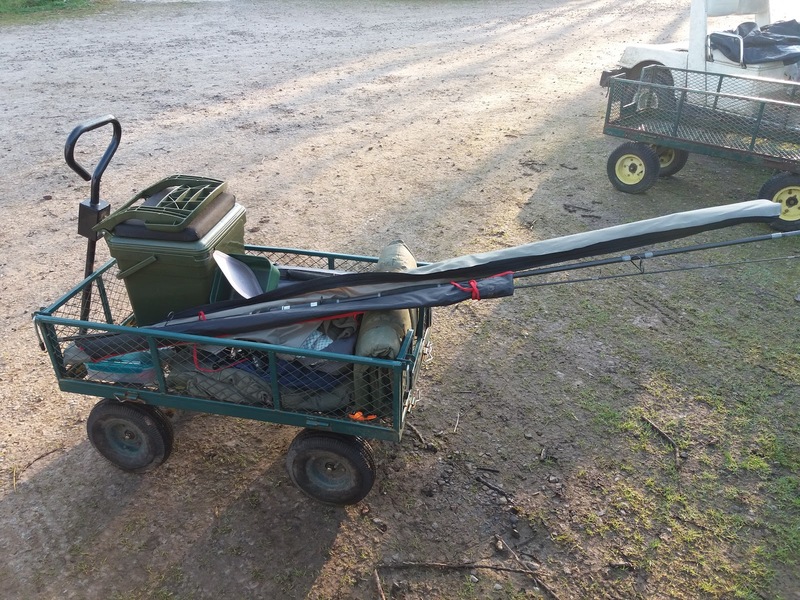 I changed my tackle box and sorted pike gear and the hybrid feeder gear that worked well last week. Bait wise, I took the lot!! 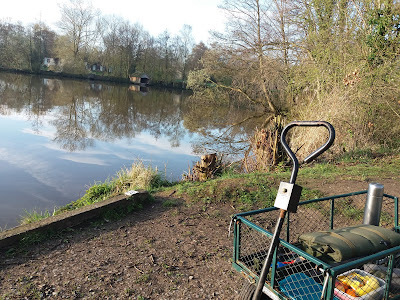 Arriving early, I loaded the on site trolley and headed to one of the lakes. 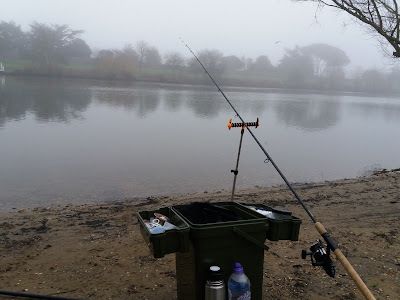 Trying both set ups, no fish were coming to say hi. I soon upped sticks and headed to a different lake. I soon saw carp under the surface, so set up in a likely looking corner. 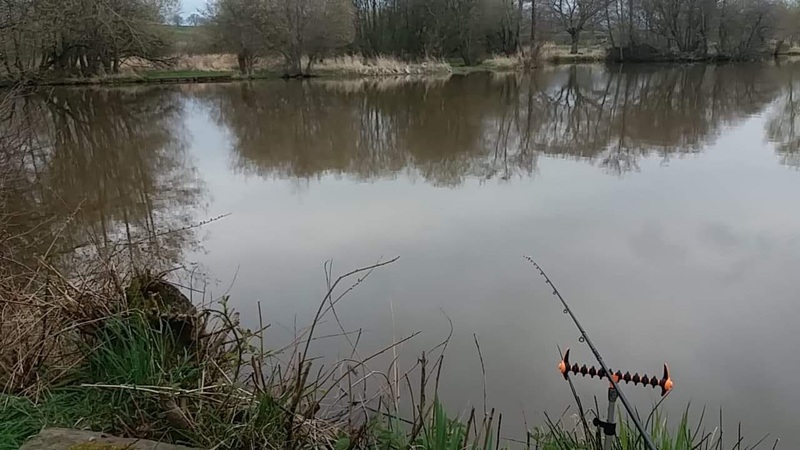 Aidan soon arrived from work, and we were soon all set up, cast to perfect looking spots and fishing!! Alot of chat passed and soon it was early afternoon. The carp were crashing all around us, but none were on the feed. 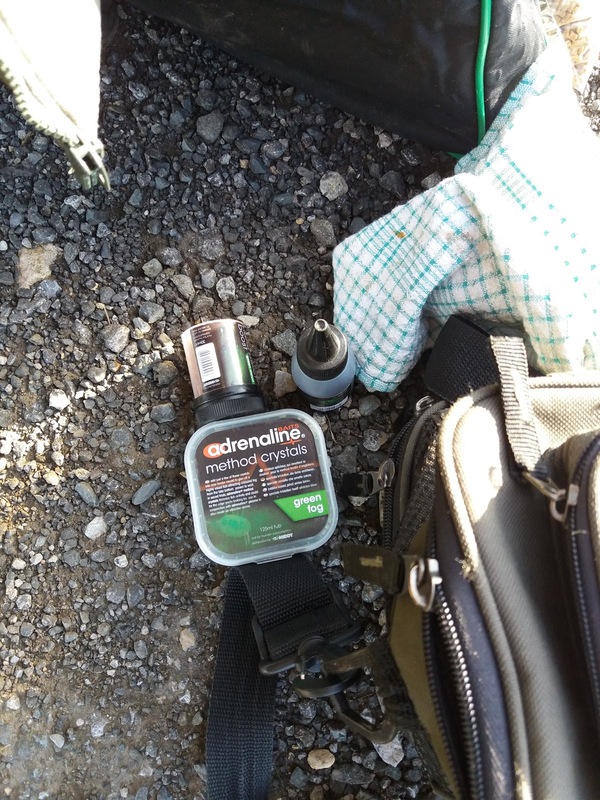 A highlight was watching a frog swim across the lake on the surface, both of us watching to see if Savage Gear base their new lures on any scientific evidence! We decided to move again. Third time lucky for me!? 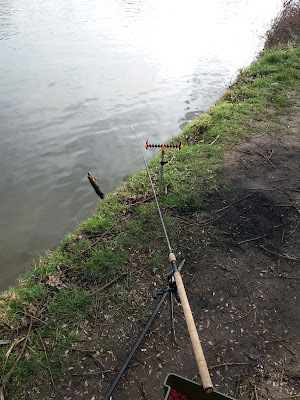 Finding a great spot on the main lake, where we could cast to large sections of the lake, I decided to cast it 2 metres along the bank about 40cm from the bank!! But I kept feeding this area, so maybe, just maybe! Aidan cast his pike rods close to areas he had caught double figure pike recently. It was all looking good. After a few hours of nothing, I started getting bites. Knocks, then proper bites. 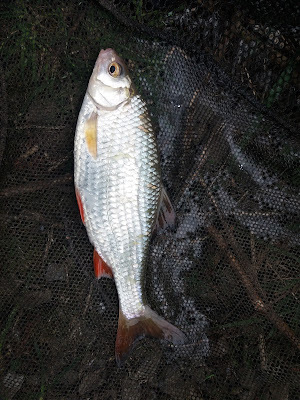 Striking into one with the baitrunner still on was not a great plan as I nearly flew backwards into the lake. I carried on the feeding and soon there were constant bites. Aidan suggested switching pellets to corn, being softer and easier to strike out. He suggested Roach were the culprits. Changing to corn brought immediate action. Bites, and proper bites. I was trying to hit these lightening quick bites and eventually got one right. A fish was on! 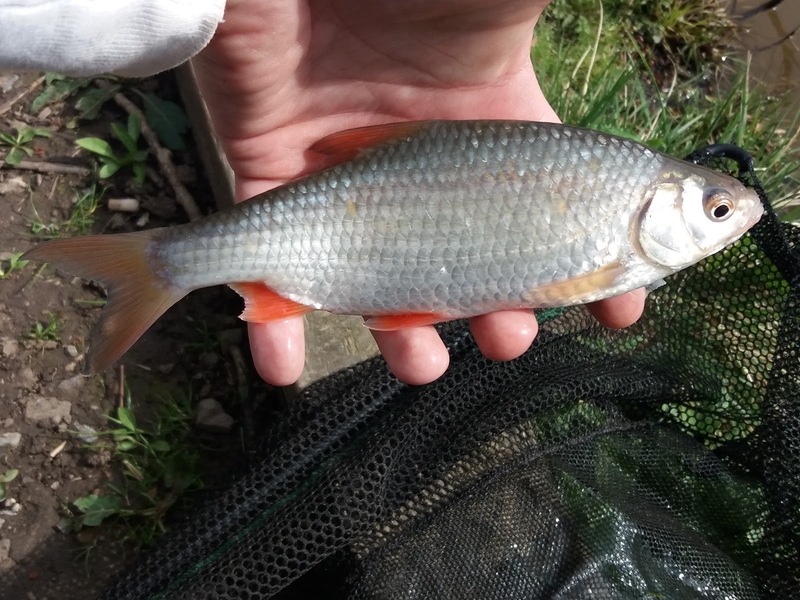 We thought it was a chub, as a large silver fish splashed in front. We quickly realised it was a nice sized Roach, Aidan was right. Neither of us having an idea on weights of Roach, we weighed it. Settling on 10oz it was a good sized fish and looked bigger! I soon realised it was a Roach PB for me and I was buzzing! Continuing with the feed, the swim was soon buzzing. Constant bites and action. I should have switched to a float to catch more, but I liked the ledger as it was frantic action. No more fish were caught but it was great fun. 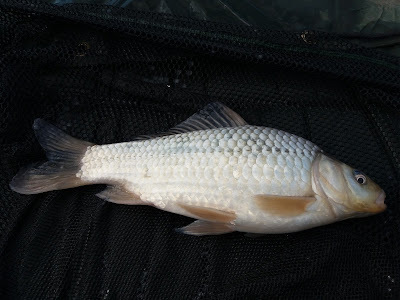 As the bites continued, it was clear carp were down there now, as we saw larger swirls and bow waves. As we planned a new approach, bleep!!!!! Aidan's alarm sounded. He wound down and struck. Fish on. Fish off!! As soon as he felt it, it dropped the bait and was off. We were now ready for all eventualities! As the evening drew on, fish topped everywhere. The lake came alive. Aidan commenting on the "evening rise" as fish showed themselves. The Roach bites continued, but I missed them all. Suddenly a large swirl around my corn, and a large Pike was coming in to see my Roach!! It's tail waving as it swam right through the swim. Soon we both had pike baits in the Roach swim!!! Priorities! Nothing happened though and it was soon time to pack up. 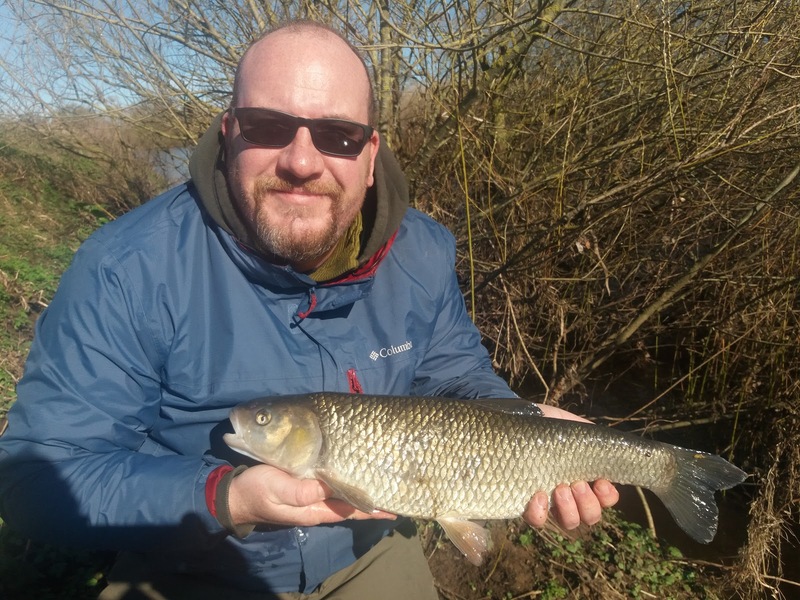 A great day that consisted of 10 hours fishing, £10 day ticket and a 10oz Roach PB. All in all a 10 out of 10 day!! Today with the rivers being closed, I was heading to a lake. Ellis was busy with the boat. We will both be painting it soon ready for the new season, but I was not needed today so I went to find some carp. Now,when I say carp, I mean carp, but it has been along time since I last hit commercials, so what I actually may mean is F1's. I am honestly not sure, other than thinking their parents were rubbish at names!! I decided to be new and improved! 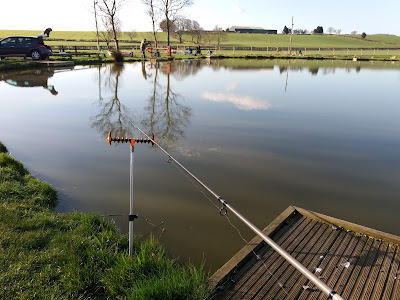 I was Fishing a new venue and I was improving the method. I picked Eden Grange, about 40 miles from home. They have a catfish lake, which I would love to fish one day, but today was not the day. 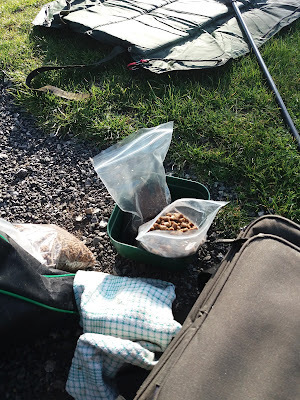 I was going to be using the Guru hybrid feeders I won in a competition. I was excited to try them out. Arriving at the fishery after passing through a village called "Greenfields" ( ironic there Davey!?!) I went into the on site shop to buy some pellets. I bought small ones for the feeder and larger ones for hook baits. I had watched numerous Guru videos on line, so I knew what I was doing. On reaching the lake, Runswster it's called, there were 2 other guys fishing. I chatted with them, they had fished before and caught plenty so I took their advice and fished opposite them. Setting up was easy and I was soon ready to fish. The lake is not massive, and a small chuck had the feeder in a perfect position. The rod was on the rest, and the set up looked good. 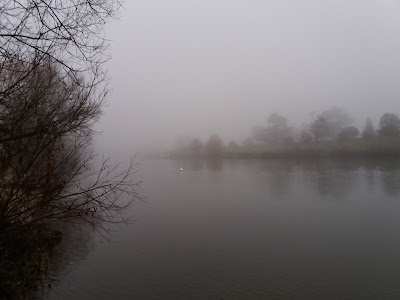 Suddenly the rod twitched and wrapped round, I was in. A plucky little effort was my reward. A great start. The lake soon filled up, there was 8 of us on it, all hoping for a great day. The fishery is described as peaceful and picturesque. It really is in a lovely setting and soon I was sat back waiting for the peace. There was no peace though. There was chat, and laughter and discussion. The match was setting up on the next lake and they were busy "matching". 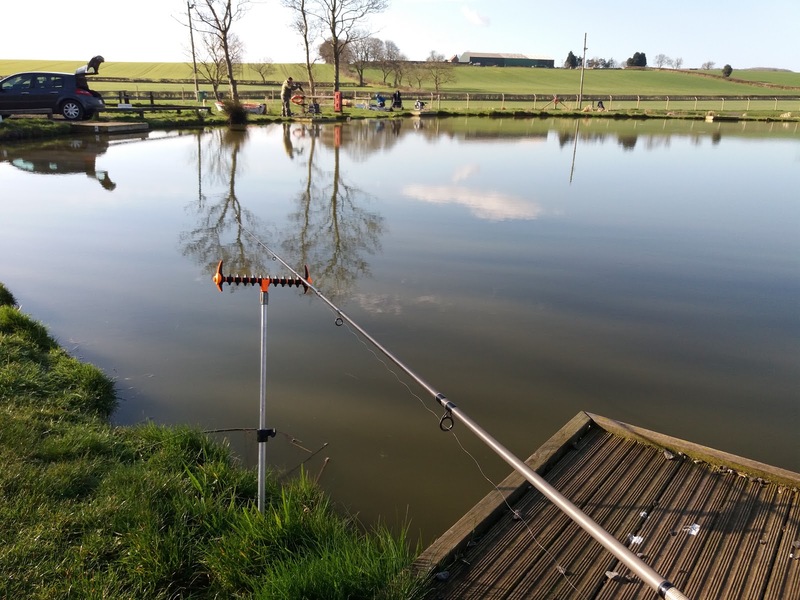 It was great to hear so much action, I was glad that so many anglers enjoyed the matches here, it's great for fishing! Settling in and enjoying the surroundings, two things happened. I started catching more fish, and the wind increased! I was sitting with the wind blowing into my face, I think this helped the first thing as no one else seemed to be catching. I was quickly on 5 fish and grinning from ear to ear. Unfortunately the wind did not stop, and it was bitter cold. I had not brought winter wear, and was soon frozen. A brisk walk to chat with a guy on my left and I was warming up. It turned out, he is also an Adam and he told me about a local club with a couple of stillwaters. I had looked at it before but never committed. I think I may join, so I have somewhere close by for the closed season or when the rivers are unfishable. I had lost a few fish by now, and was still getting bites. A few other anglers were also catching. It was smiles all round. 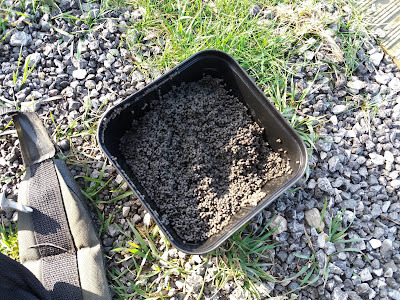 The hybrid feeder method was great, I soon got into a good routine with loading, maybe a few bait boosting glugs or sprinkles, and casting just to the exact spot. Without the wind, this would have been a perfect place to continue to practice this method. I battled on. Keen to catch more, these fish had incredible strength, several of them had me fooled that they were much bigger such was their power. As the wind continued, the lake emptied. People keen to go home and warm up. Soon I was the only one fishing. Seeing where some other anglers were feeding and needing a warm up walk, I moved swims. Finding a spot near the car, where I could dash to if the rain started. Again, the setting was magic and soon it was joined by my rod. A few quick casts got me in the right place. 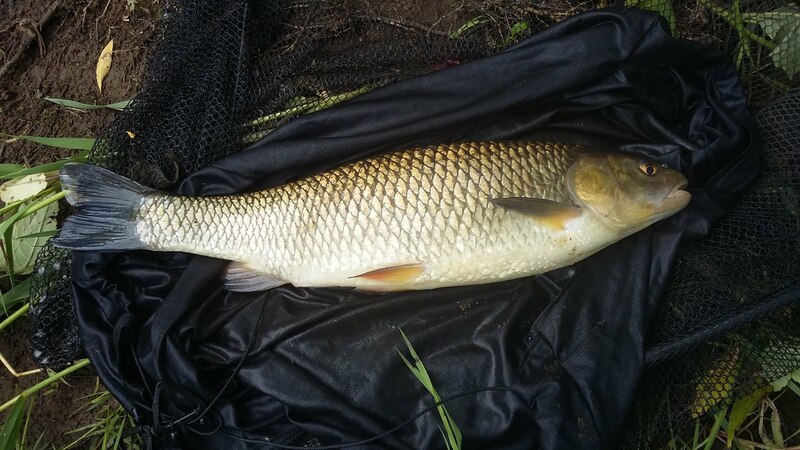 Suddenly the rod pulled round and the biggest carp of the day lay on my mat. It was a great day, it's always nice to catch. Today was all about trying new things, I would say it worked. New venue and new method, tick! 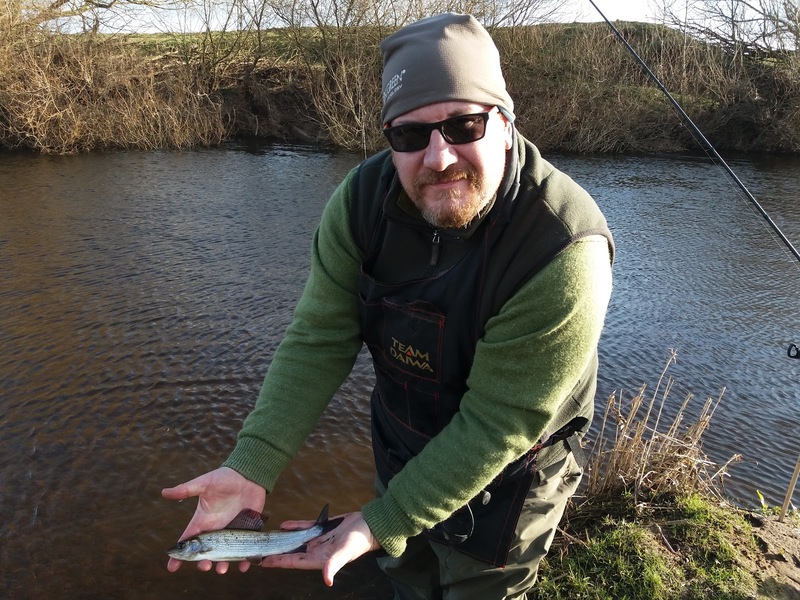 Today's trip to the Swale at Northallerton started long before I left the house at 6am. It was started in the week, on the prep. 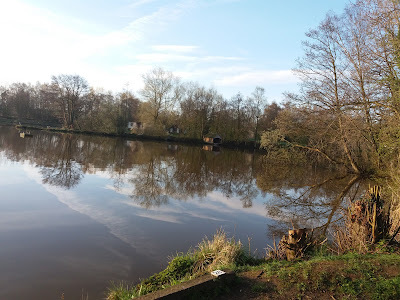 Speaking to local club members, looking at the weather reports and looking at the river levels all said "it's gonna be tough, if you bother"
Ellis and I went back and forth about if we should go or not. Finally deciding that because the season was closing next week, we should go anyway. So we did! Leaving Hexham at 7 degrees, the roads dry, I was happy. Slowly the weather changed, I drove through light rain, torrential rain and then snow. The A1 being covered in slush as I approached the junction. I knew Ellis would be keen with his heated seats on full blast!! The king travels first class. A quick stop to get fuel for Ellis and I of the sausage variety, and I was soon sat on the warm seat in Ellis's car. Eating our way through the muffiny goodness, we looked at the worsening weather. Ellis announcing " when the snow came, I nearly pulled over and called you to say I was going home!!" That's the keen spirit mate! Eventually the rain lightened and we set up. It was actually not too cold and if the rain stopped, it would be nice. A quick walk and we saw the river. Well, we saw it long before you normally would as there was much more of it! Deciding to ledger in the slacks, we both started with large ish weights and cheese paste. 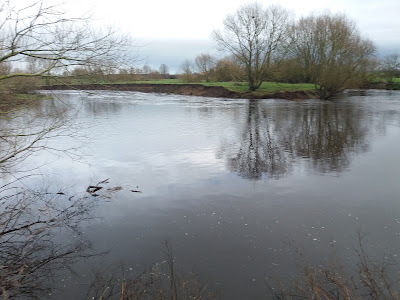 Stood watching the rod tips, we heard a splash, looking up to see a large chunk of the bank on the opposite bank and over 100 metres away, break off and slip into the river. I gulped. Ellis proclaimed " the fish will all be over there eating the worms from that chunk!" Haha, but the king did have a point. Nothing occurring in the first swim, we headed off. The sun had now come out and I was annoyed my sunglasses and cap was still in the car! The next swim also produced nothing, so I moved to fish against a bush. Ellis saw this manoeuvre and countered it by taking his lead off and free lining his cheese paste by a large floating raft and tree line. 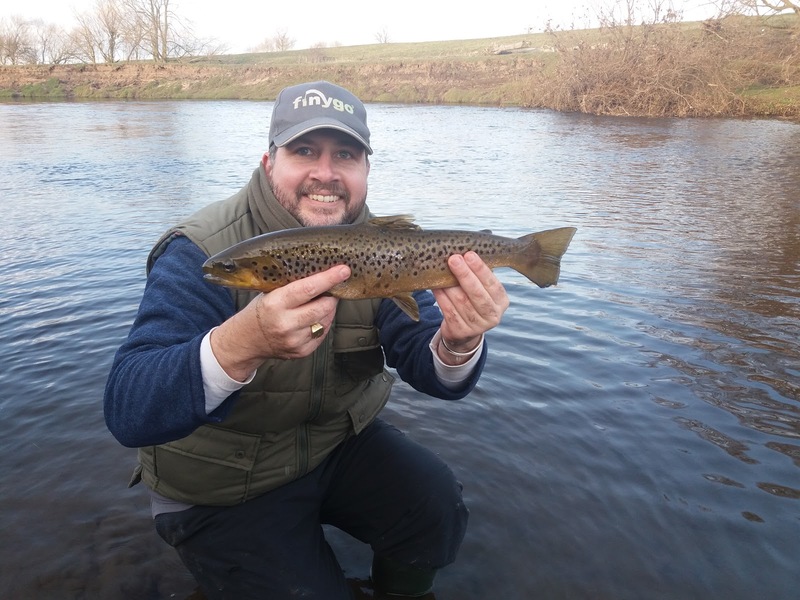 This proved a smart move for the king, as his line tightened and he struck into a fish. A nice looking chub of about 3lb his prize. I was quick to jump next to the King and fish against the tree line. A small pluck on the line was all I could muster. We moved on. The next swim proved snaggy and a few hooklinks lost had us wondering if free lining was the right way in all the swims? Some of them seemed better with a lead on. We carried on our way. The next swim, I did not like the look of. I suggested I did not "feel it" in here. I fished with a lead this time. As hunger crept up on me, I reeled in so I could eat and Ellis could fish in the swim. He was free lining cheese paste. Ellis started to explain that the cheese paste would roll around the crease in the current and sit against the overhanging bush in a natural way moved by the current.......... wow! Went the shout as his rod was nearly ripped out his hand. 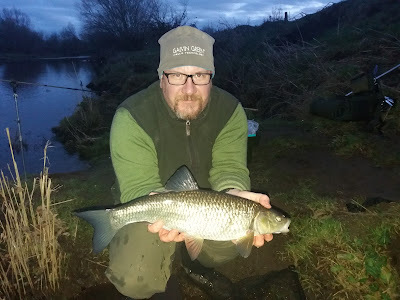 Another quick fight and I netted the kings second chub. This fish looked much bigger, we weighed it. An honest King gave himself just under 5lb, but it was close enough for me to be a five. A cracking fish no less! I was free lining in the spot before the king even turned around! 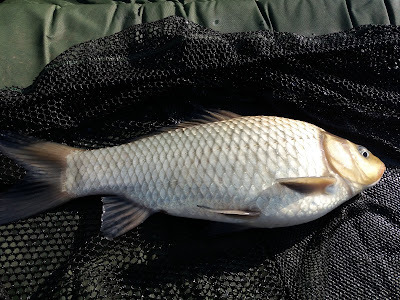 After no more bites, and with a laugh at the perfectly demonstrated chub capture, we carried on. We walked and fished slacks all the way to the top end of the stretch. More just to see the swims, than trying to catch. Nearly at the top, we about turned and walked downstream. 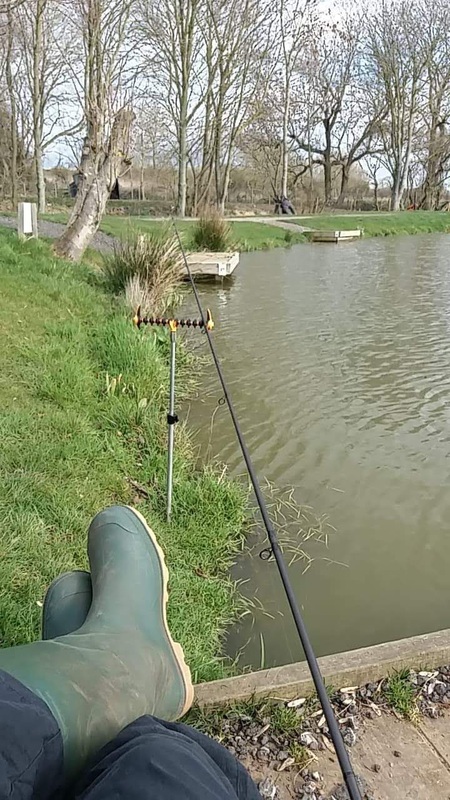 Fishing in a new swim, we both sat and waited. Soon enough and with a royal shout, Ellis's rod hooped over and he was in. As he played it to the net, disaster. The fish got off. I think that makes the King only a Prince now!? As the Prince and I fished our way back to the car, we were in our final swim. My rod bouncing with the flow. Suddenly it gave a fish type bounce, I was sure of it. Reeling in, no bait on. So was it a fish? Maybe, just maybe but we will have to wait till June 16th to see who lives in that swim. 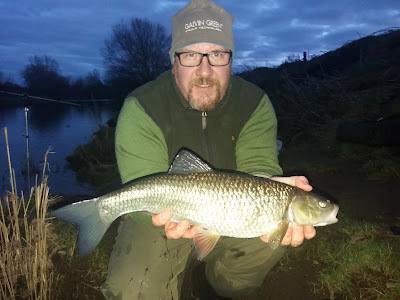 Reviewing the season, a pb Chub for me in the summer and 6 Morton Chub for the Prince since 2019 makes us both feel like kings! Today's venue was 3.1 miles away but the sat nav said 20 plus minutes! This must have meant I was in the South, South East, London, West London, Teddington to be exact. 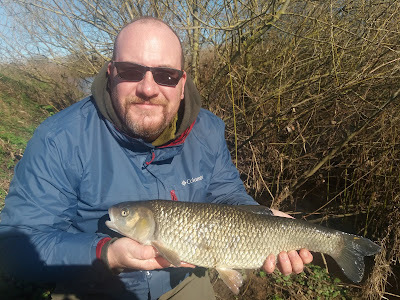 I was staying with Pc and Nikki for the weekend to watch the rugby with the boys, so I brought a couple of rods and planned a trip on old father Thames for the day. Alot of planning found me a free fishing stretch day or night containing just about all species, but notorious for Barbel. A Thames Barbel would do nicely! The venue was Albany Reach in Thames Ditton. As we went to bed the alarm was set. The phone plugged in and the sheep counting started. As the alarm went off, I jumped up like a coiled spring. Picking up my phone, I noted the 50% battery, it seems in the South you also have to turn plug switches on to work!! Doh. Making my flask of coffee, I noted the screw cap was not from this flask. It did not do up. I had a flask of hot coffee, but no cap!! Double doh! I hoped this was the last of the calamities as I set off for the river. Arriving in double quick time, I was parked (free, in London this is rare!) and headed for the bank. A short walk and I was there. It looked great. A mist rising off the river. I didn't know where the features were along the bank so I opted for a swim that looked comfortable. I was soon fishing. Pellets, bread crumb in the feeder. 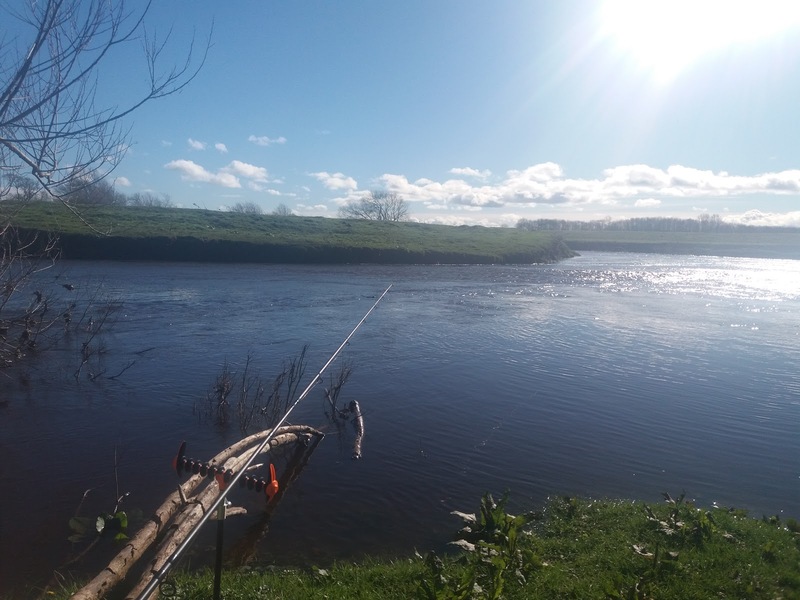 Waiting for a Barbel. There was little to report for a few hours other than I had drunk all my coffee as I had no lid and the fog did not burn away!! 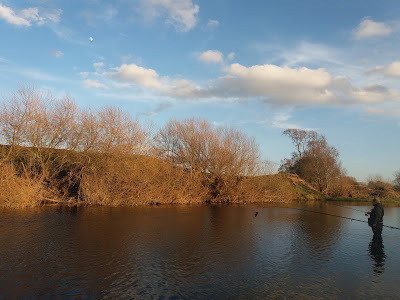 There were a few other anglers on the banks, some leaving having been fishing all night, some like me arriving. It was one of the leavers that came to say hello. 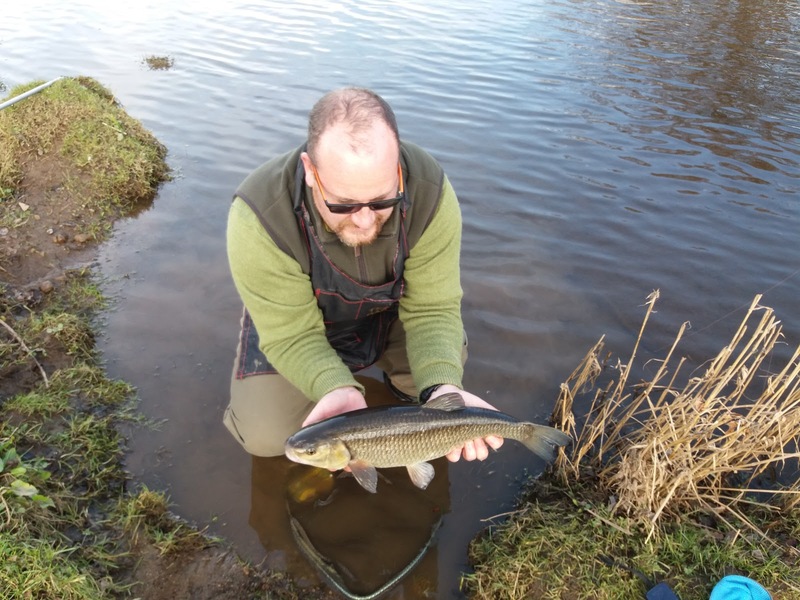 It was nice to get some local info and after I said I lived in Northumberland, this fellow angler was happy to help me out. He told me, him and his brother had 110lb of bream over night to 6lb plus and several Barbel to over 10lb. I was in the right place, but the wrong swim!! He helped me with my gear, and took me to the swim they were vacating. He looked at my baits and tackle (non eupho) and was happy to give advice. A quick change of hook and a new pellet, of the robin red variety and I was ready, again! As we chatted all things fishing and his brother carried their gear back go the car, my rod twitched. It was the first bite of the day and I was happy. A few more knocks and then it bounced. I hit the bite and was in. 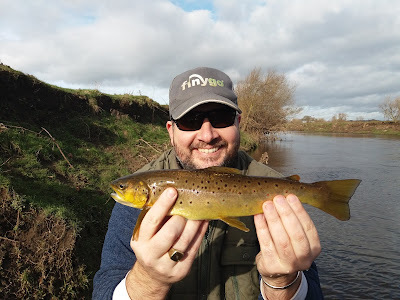 Playing the fish towards the bank, my smile was only surpassed by my new teacher! Sadly the fish came off half way to the bank. 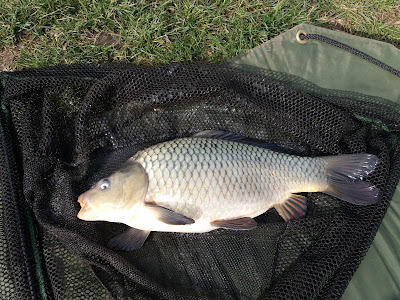 "Bream" was the response from teacher, expletives from me! I quickly re cast and was trying again. We chatted about feeders and after giving 1 of the 60 away, it was the least I could do to my teacher, it was time for them to leave. They left happy that I was nearly catching. A few hours passed and there were a few more knocks but no fish. There were birds though, heron, kingfisher, cormorant and of course parakeets!! Bright green and yellow, residents of West london flew over head. It was soon afternoon and nearly time to pack up. Another knock and I was in again. I played the fish to the bank. It was a nice sized bream, a proper river Bream. I had the net ready, and slipped it under the fish. 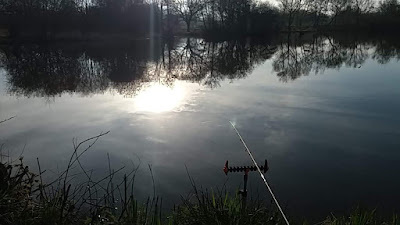 I put the rod down and the weight of the feeder slipped over and out the net. I scooped up the net and it was empty! I picked up the rod and there was no resistance. The bream had slipped away. I was gutted! I put the bait back on the spot, but sadly nothing happened. It was time to pack up. There was one last thing to do. Like passing the baton, it was my turn to offer the swim to a couple of new anglers planning on doing an over nighter. They were happy for the swim and the info and I left with a teacher smile on my face too. We caught fish! Literally! Some I juggled but caught again. 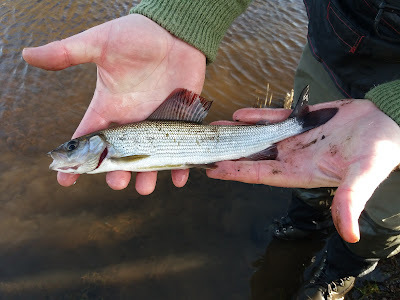 The target was Chub and Grayling and we caught both! 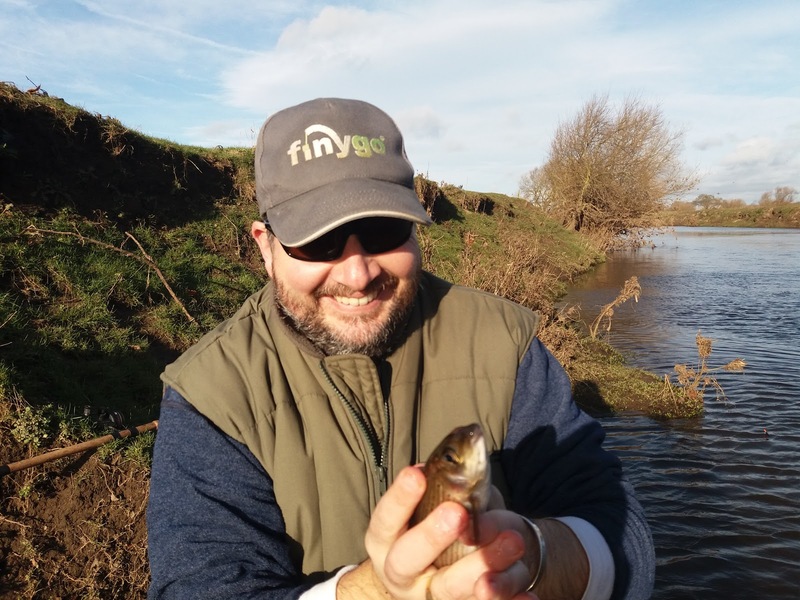 We lost lots of fish, we laughed, lost tackle, we smiled but we caught fish! This trip was "sponsored" by ridge monkey as I recently acquired some of their buckets, in both sizes and one with a seat. We were gonna see if they helped us catch fish, as that's what we were out to do. 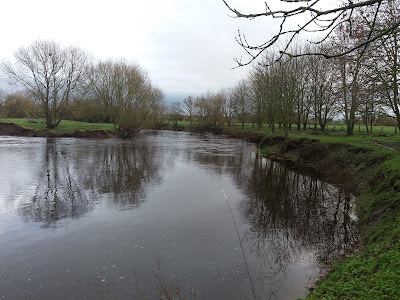 We decided to fish the Swale at Northallerton, and the spot? Well, obviously our usual spot!! Meeting at 0730, a quick double sausage and egg with a hash brown was devoured to give us sustenance. After a quick chat with a local dog walker, we headed to our swim. The river was up 6 inches and clearish. It looked great. Settling into our swims, I cast in my ledgered cheese paste, straight into the bush on the far bank. Snagged, line break, lost the lot! Ellis provided some encouragement with, " it can only get better!" More encouragement from Ellis came in the form of " let's just hope at 1830 tonight, we are not sat here talking about the only bite after 3 mins!" Ellis now cast, straight into the Bush! We were good at this, honest! Maybe he is better at giving encouragement!? After no more action, we switched to float fishing with maggots. We were targeting Grayling, but I think both secretly hoping for chub! 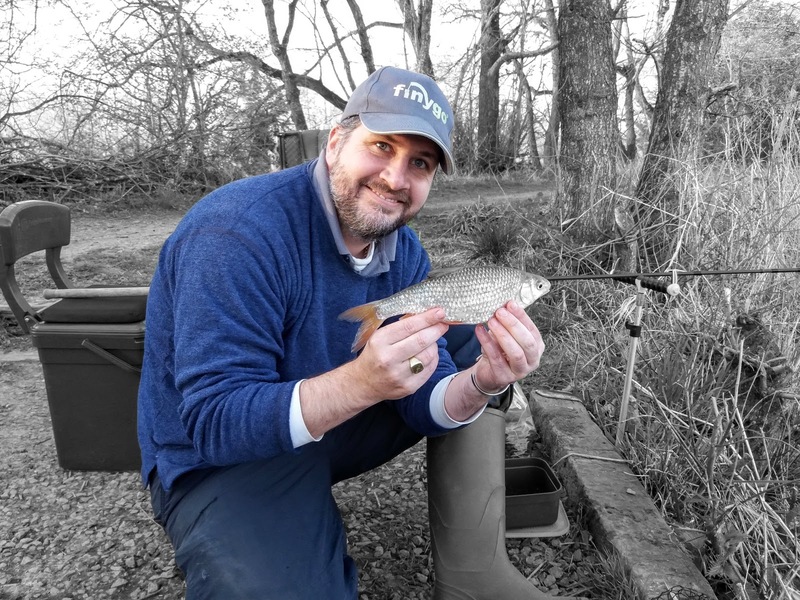 Ellis started the day off with a Grayling, quickly as ghillie, I landed it. 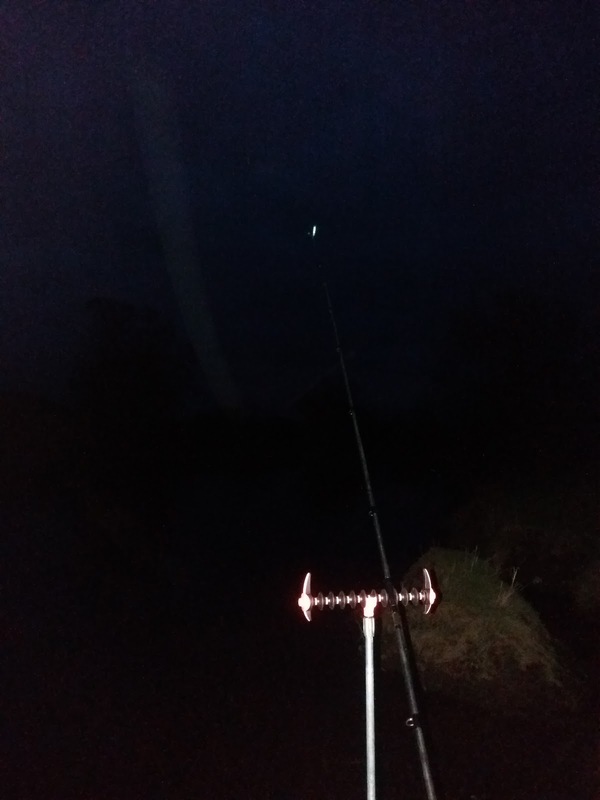 This was the routine all day, we were a team and it's easier having someone net your fish, especially when it is a little dark! I soon had a Grayling too! 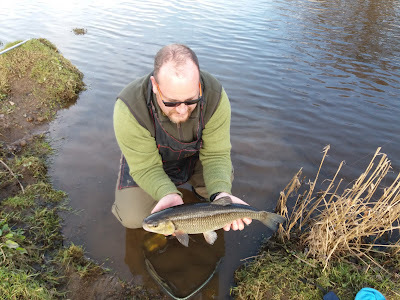 This was my first ever Swale Grayling, so after a quick pic and juggle it was back in the cold water. 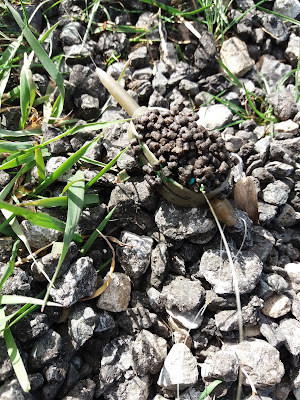 We were feeding maggots easily with the wind assisting us to get to the far bank. If anything it was too strong and every catapulted maggot ended up miles too far! The wind did help with the trotting though, blowing upstream it enabled us to control the float down the swim. 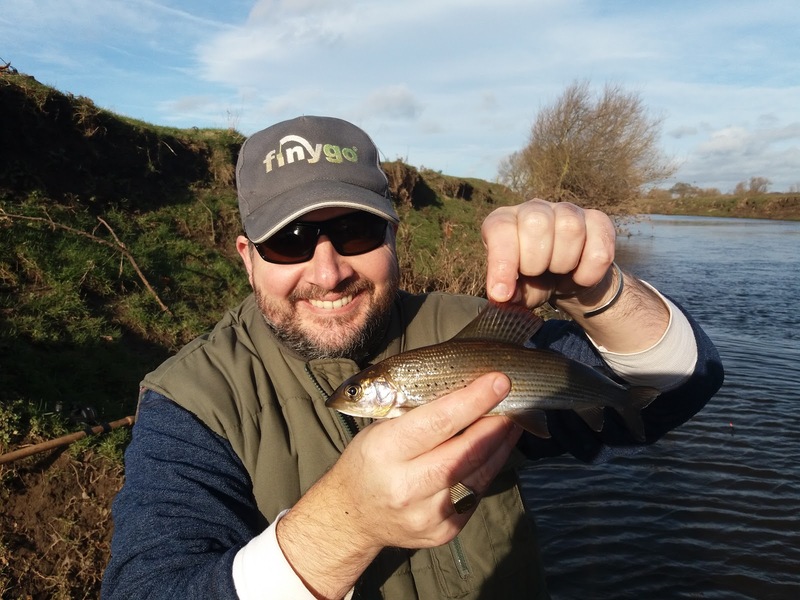 Ellis had full control until his float buried and this was no Grayling! 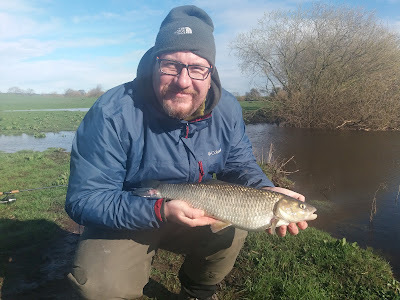 On 2lb line and a size 18 hook, he took his time to play the fish and after a short battle, I slipped the net under his first float caught chub. It was a cracking fish, about 4lb, and we hoped would kick start a match like ambience!! It certainly did after a few hours, but I was not going to be winning the match! We switched between the float and ledger. We missed quite a few bites. Me missing 2 in about 2 mins whilst ledgering was probably the highlight. Finally my float buried and as I struck, a trout lept out the water. Ellis was trying his new and improved cheese paste with garlic, not sure if it was this or the few pieces attached to the hook with pva tape but he was suddenly attached to a chub that was owning him! It nearly owned his rod too, but that's a story that remains on the bank! 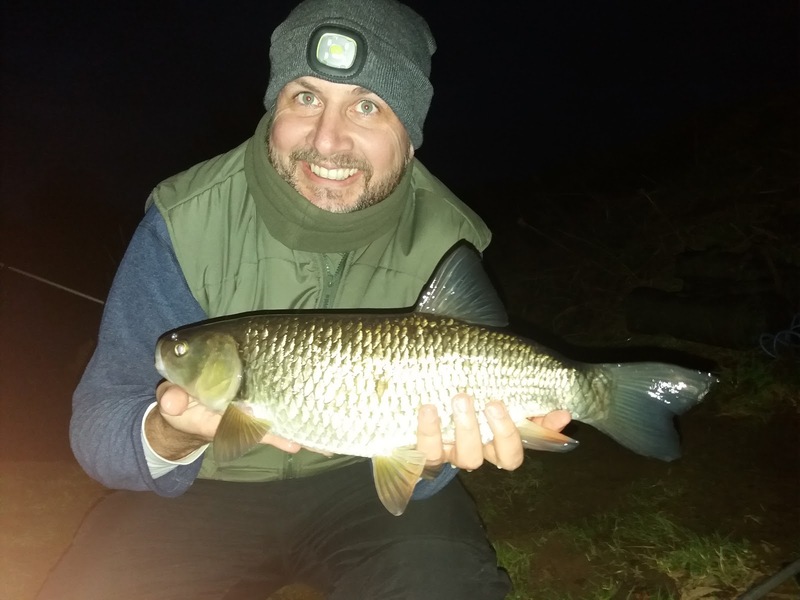 On the heavier ledger tackle, this chub had eaten plenty of cheese but also spinach! 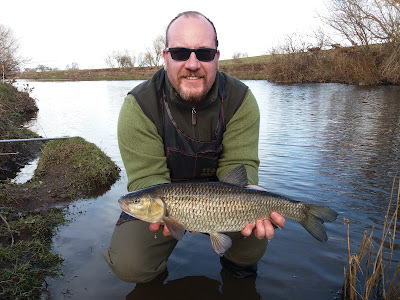 A great fight and soon (ish) I was landing another chub for Ellis, this one going 4lb 8oz! Ellis encouragement exclaiming " I never catch 3 chub!" A little time passed now. Float, ledger, missed bites. We were still trying and enjoying it. We sat behind the ledger rods, cheese paste in the spot. Ellis having left his phone in the car, needed to know what else was being caught on the Swale, so it was up to me to have a quick look on the book of faces. 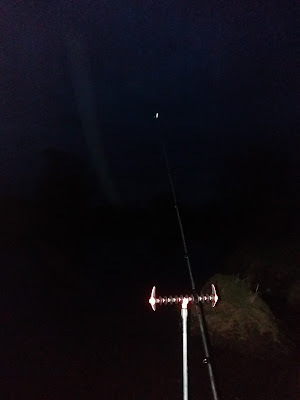 Yes, you guessed right, at that moment my rod hooped over and bounced away, I was in. This fight seemed familiar, but it was on cheese paste! 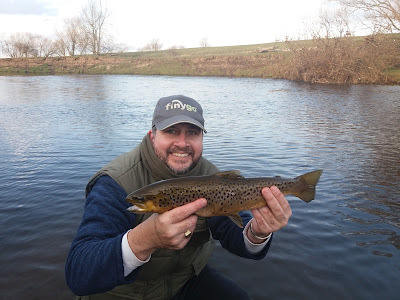 Jumpy, jagged, a big brown trout the culprit. This time we did know it! As the day turned to evening, we had decided to both target chub on the ledger. 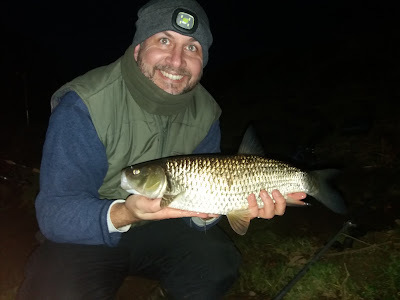 Again missing bites, the fish were on the feed. Ellis moving to casting further down stream, he caught 2 quick chub. 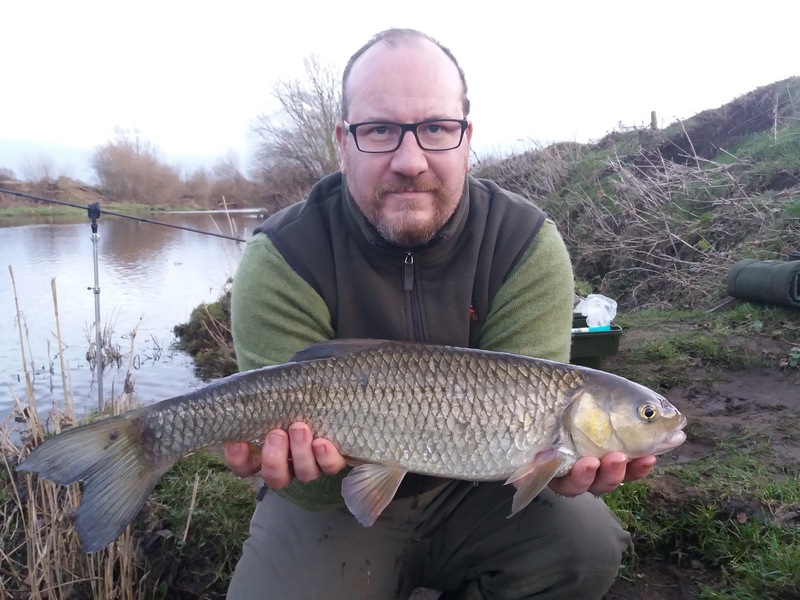 His never catching 3 chub had turned into 4! He must have found the super shoal! He let me nip into his swim and have a cast too! 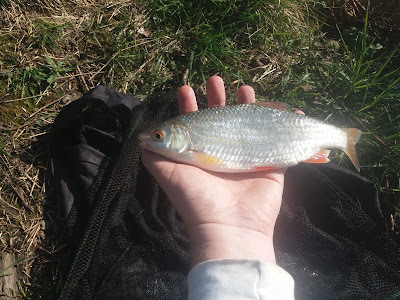 After a few mins, my rod twitched but I missed the bite. 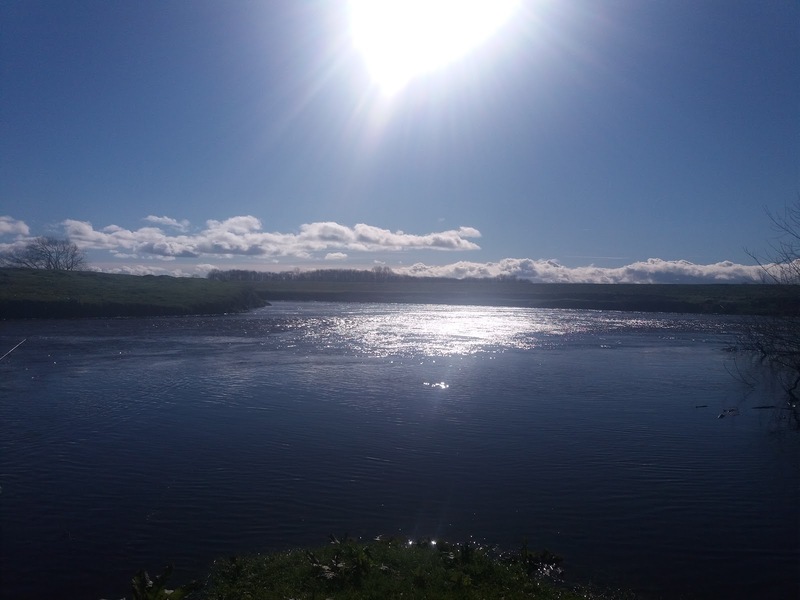 Soon as darkness fell, the river awoke. Fish were moving about and we were in the right place. 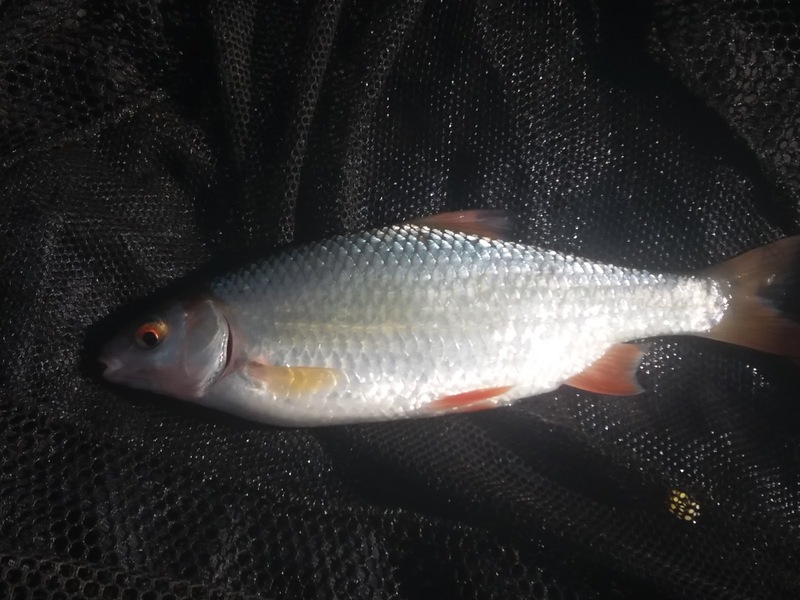 Finally I hooked and landed my chub. I say chub, but it was more chu. The fish must have had a run in with a predator as it's tail was deformed and it was about 6 inches shorter than it should be. It's fins were down the end of its tail like a pike. As darkness took over, I missed more bites. We really had the fish feeding. It was however time to go. As good as the buckets were, they still needed to be carried back to the cars. Commenting as we left, we had over 20lb of fish between us, including the trout. 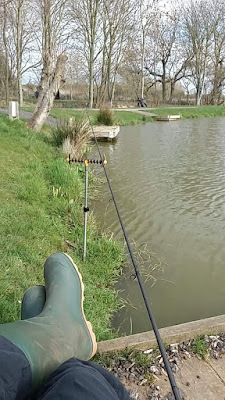 We will have to read the match rules though, cos am not quite sure you can fish as a team, but today we were the perfect team! Damn Eels!... but a nice Pike. I have joined Angling clubs on the Tees and the Swale, as I try to catch Pike, Chub, Barbel, Perch and many more species I hope to tell you about it on the way.